We feel extremely lucky to have won the GrabCAD Challenge. It allows us to work with world-class engineering company Creaform to test our frame and bodywork using some of the most sophisticated software programs and competent engineers available. The programs Creaform uses are stunning. 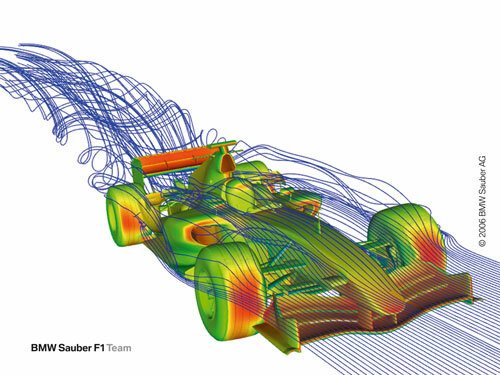 They include software designed in-house to determine the dynamic strength of our frame, to a brand new CFD (Computational Fluid Dynamics) program that’s so cutting-edge that it’s also used by several Formula One race teams. Banks of servers crunch the numbers to show how air flows in and around the bodywork. The most important component–the people–set up the data so it’s usable and yields real-world results. It also helps that the engineer in charge of the data earned his PhD in CFD.